Originally promoted as the NEW HORIZONS 25. 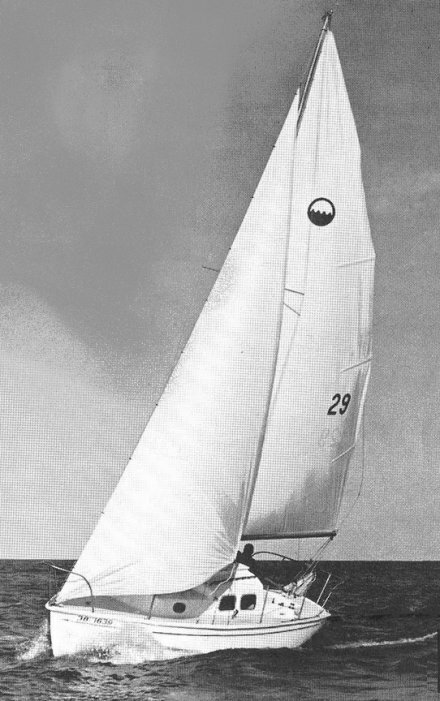 This was S&S's first production sailboat designed as an ALL fiberglass small cruiser. Ray Green, a pioneer in the field, as the builder, made a perfect fit. Many of the components for the interior, etc, were molded fiberglass, a practice that did not become common for a number of years to come.